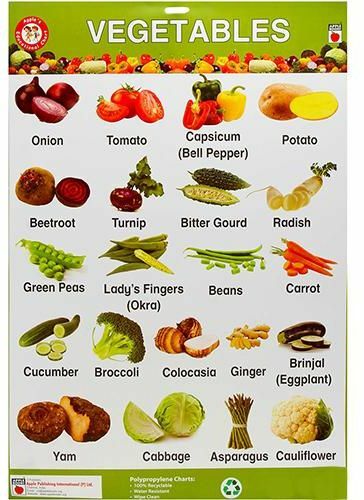 Apple Books presents Vegetables Chart in English. This wall chart is a wonderful visual learning tool for children. With it's clear images and visible fonts makes it a great educational aid which can be put up on the walls of a school or at home for easy reference.